J. Cole believed so strongly that he could outsell Kanye in 2013, he moved up the release of Born Sinner to June 18, an entire week in advance of its original date. He had a huge single with “Power Trip,” his profile had risen since Cole World: The Sideline Story and anticipation was high for his sophomore outing. Yet this was still Kanye he was up against, a man who had people leaving their homes to watch a hologram rap on a wall―it was like challenging a giant to a duel with only rocks and a slingshot. There was little hope for Cole&apos;s victory. The odds weren&apos;t in his favor—a true underdog—but by throwing Born Sinner into the ring of releases on the 18th, a sense of competition was created, and all eyes were on album sales the following week. Cole&apos;s first-week numbers were 30,000 short of Kanye, but by the third week, it was J. Cole who was sitting at No. 1. June 18 wasn’t just another album release date, it was an event―J. Cole vs. Kanye vs. Mac Miller―similar to how 50 Cent and Kanye were able to turn the Graduation and Curtis releases into a perfectly marketed battle that resulted in impeccable sales. Graduation marked the best first week of Kanye&apos;s career with 957,000 copies sold, while 50 would never again come close to the 691,000 copies Curtis moved in its first seven days. It was a huge win for both parties and hip-hop as a whole. At the time of their face-off, Kanye and 50 were, fame-wise, in a similar place, which helped to make their competition feel like two heavyweights throwing haymakers for 12 rounds. This was a battle designed to beat the album sales slump; it created a spectacle that made people want to purchase music, not for the music itself but to be a part of a bigger social event. More recently, both Future and Drake were able to use Apple Music’s Beats 1 radio to turn their album releases into community listening parties, a gift of the streaming era. FUTURE and HNDRXX were social media events, Views and More Life were social media events―no longer are artists trying to encourage fans to just buy music, they&apos;re trying to sustain attention. Attention is the most valuable currency during a time of constant content and streaming. It&apos;s been an adjustment, too. Whereas before an album purchase was a one-time transaction, now every single song stream is a micro-transaction. I could purchase and play a physical album zero or 1,000 times in my CD player or car and it wouldn’t matter, but now, the more plays the better. For each artist, the longer their fans spend with the music means much more today―we saw the extreme methods Nicki Minaj’s fans took to help her chart higher. Streaming has changed the value of music. 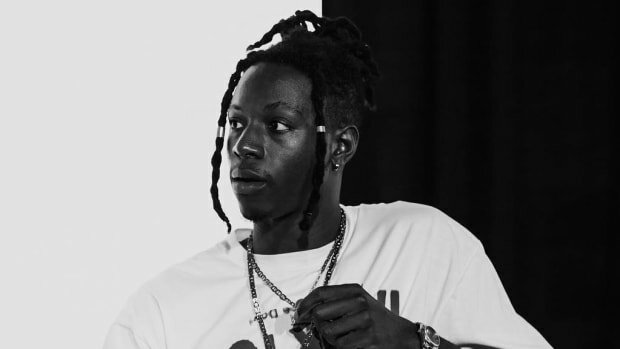 In early March, Joey Bada$$ decided on April 7 as the release date for ALL-AMERIKKKAN BADA$$, his long-sought-after follow-up to 2015&apos;s B4.DA.$$. He’s made all the right chess moves to build anticipation―popular single, his role on Mr. Robot, a connection to the NBA, rapping at radio stations like he has something to prove. For an independent without major label support, Joey was executing a pitch-perfect album rollout. Unfortunately, no one foresaw Kendrick Lamar leaving his Compton cave to deliver his next album on the very same date. 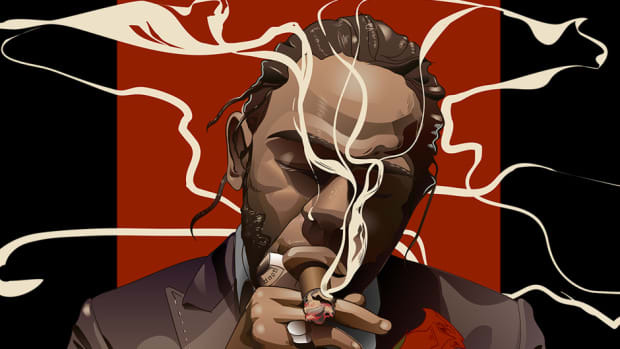 Now the 7th of April is surrounded in speculation over what Kendrick will do, putting Joey squarely in the underdog position. In a different era, Joey could try to do what Cole did by creating a sense of competition between himself and Kendrick, but that approach doesn’t work in the era of streaming. Remember, it’s only possible to stream one album at a time—much different than being able to go to a store and buy two physical discs at once. Not only does Joey need to attract hip-hop fans outside of his immediate base to stream his album, like all artists he needs to keep them streaming. 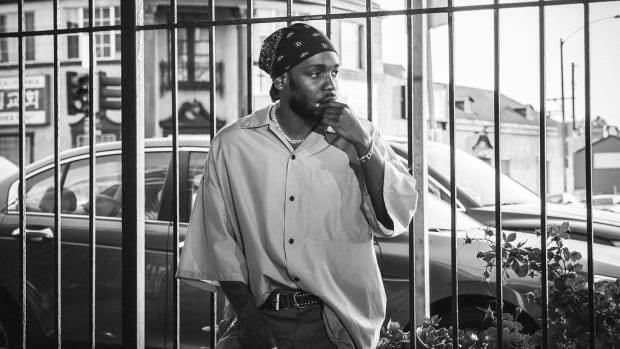 Kendrick will dominate the conversation on social media, Kendrick&apos;s music will garner more think-pieces, Kendrick will inspire more memes―all extremely valuable in this age of low attention spans. Joey isn’t just fighting against Kendrick, he’s at war with the moment itself, now being wrestled away by a new Kendrick Lamar album. So, how can Joey keep people from deferring their attention elsewhere? Most casual hip-hop fans will eventually listen to both albums, but which one will they spend more time with? Likely, the one drawing the most commentary on social media. The bigger event has a much bigger draw. 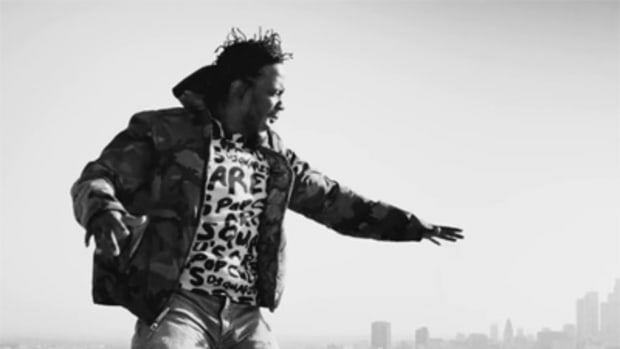 Compared to Joey, Kendrick has done little in terms of content but two songs and a video were enough to turn the tides in his favor. "The Heart Part 4" and "HUMBLE." are dominating every corner of hip-hop right now. Fans have power, but mass appeal is the new law in the streaming era. Drake’s victory in 2016 stems from being the biggest artist in the world and crafting a project that continued to be streamed long after the release date. ScHoolboy Q’s Blank Face LP was much better than Views and actually sold more physical copies but arrived at No. 2 on Billboard, trumped by Views&apos; streams. More attention, not necessarily more fans, can push a mediocre blockbuster to tower over much better music. This isn’t anything new, bigger artists have always outsold the underdogs, but streaming allows for an even wider gap. It’s important to build a hive, a core, a cult―but to truly crack the code of reaching a massive number of consumers, there’s a need to constantly expand and create events that can dominate, captivate and drive the conversation. Unfortunately, it takes years and years to build such a following. Look at Migos&apos; success: “Versace” made them a household name but it took four years before they scored a chart-topping album and single. Streaming’s influence over music will be discussed and dissected long after the physical album takes its last breath. There is no way around it, streaming is going to be the driving force behind how we consume music. Streaming is connected to social media, music drives discourse, and the more conversations around an artist the higher their stream counts will reach. More than anything, this attention-driven economy is what has forced artists to constantly release music. It&apos;s possible to even the playing field, though. We all have access to the internet―every single day something or someone is going viral, from literally nothing to mass appeal in hours. Artists in Joey’s position have to understand the value of attention in the era of the event, creating content that will make each release feel bigger. The reason why Apple offered Chance a commercial was so that they could blow out a project they had already invested in, making the release appear larger than anything Chance had ever done before. Kendrick’s late night run leading up to untitled unmastered. was flawless, he kept us in awe each and every time. Artists might no longer require a hit single to have their album greenlit by the label, but the pre- and post-album rollouts have slowly become more and more important. What good is good music if it falls on deaf ears? Attention is what we all are fighting for. Artists had it a bit easier when their biggest worry wasn’t if they had enough fans, but if the label shipped enough copies. Now there are no more copies, everyone has access, but their access comes at a price―you have to keep them attentive. It only takes one person to purchase an album, but it takes a village to turn an album stream into an album sale. What’s valuable in this era is changing; people want good music, but also a subject they can sink their teeth into. Kendrick’s “HUMBLE.” is the perfect example, his views on women’s bodies have been an ongoing topic since the song’s release. Imagine what that must be doing for his stream counts and video views? People are listening out of enjoyment, but also to see what is being discussed. I don’t believe this was his sole purpose, but the organic reaction has kept his name buzzing far longer than Drake, Future and everyone else who released new music in March. In a world of trending topics, you&apos;re either the center of conversation or at risk of being forgotten. 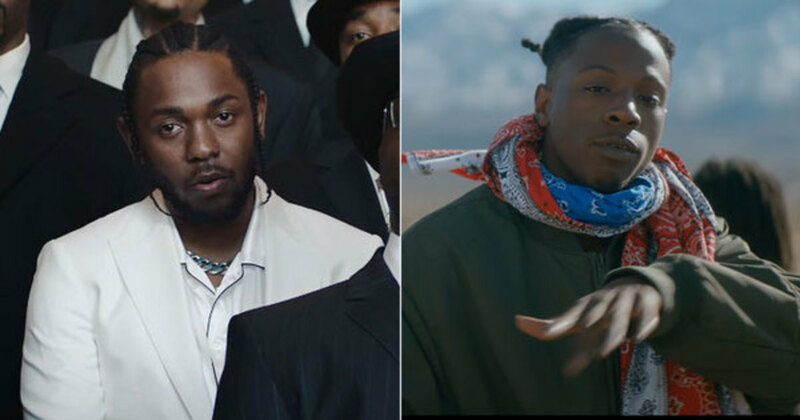 I’m rooting for Joey’s success, but going up against Kendrick has made me realize that streaming is making it increasingly difficult for smaller acts to remain in the spotlight when bigger artists drop. The smallest release from a bigger act can easily disrupt a perfectly planned rollout. 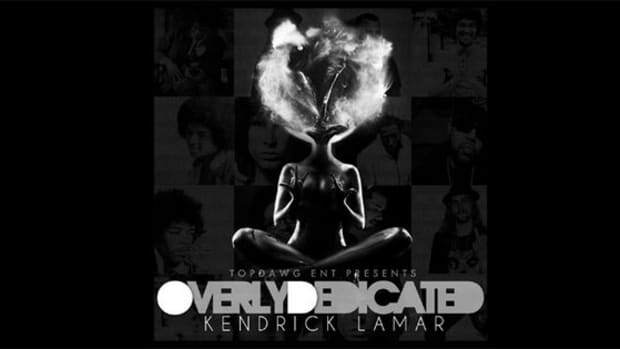 I would love for April 7 to be a battle between Kendrick and Joey in the name of hip-hop, but that won&apos;t be the case. 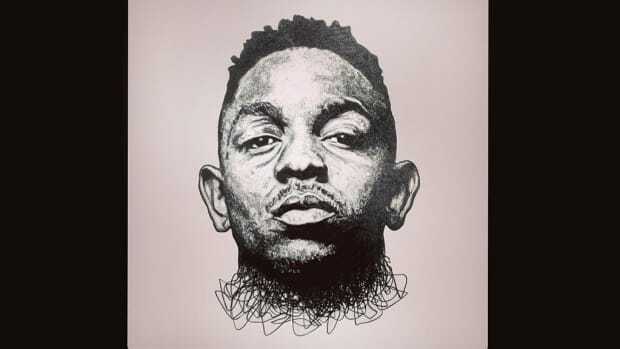 The 7th will be driven only by which artist creates a moment for listeners, and Kendrick’s sudden reappearance has him in the lead. If Joey’s album is exceptional, though, by the third week, it&apos;s possible he could trump both Kendrick and Drake. Anything is possible, just ask J. Cole. 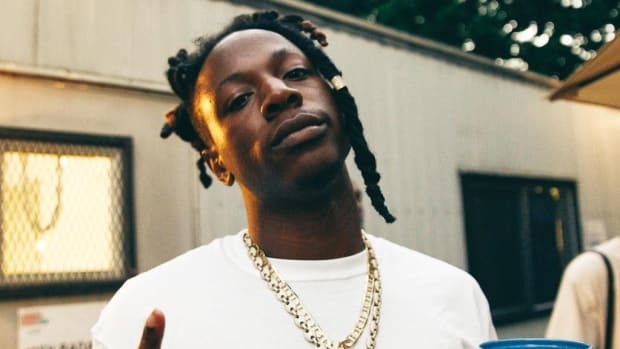 Joey Bada$$' Blueprint to Enter Your "Top 5"
Joey has been broadening his mainstream appeal without ever compromising quality or authenticity. 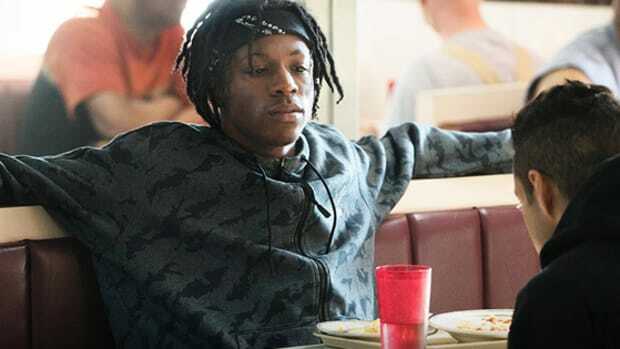 Joey Bada$$ is looking to carry the torch that Tupac left as the next big rapping actor.